The Custom moulded marshmallow Single Box is a delicious treat and when branded is the real deal. Chocolate covered marshmallows are just a delight in every bite. The combination of rich, luxurious chocolate plus the subtle taste of gooey, fluffy marshmallows is enough to send anyone to confectionery heaven. Giving away these promotional Custom Moulded Marshmallow Single Box treats as giveaways on your next event may just be the trick to turn potential customers in to purchasing ones. Packaged in a clear acetate box make these personalised Custom Moulded Marshmallow Single Box gifts more enticing. The presentation is enough to say that what is inside is something truly spectacular, giving more excitement to the one who will receive it. 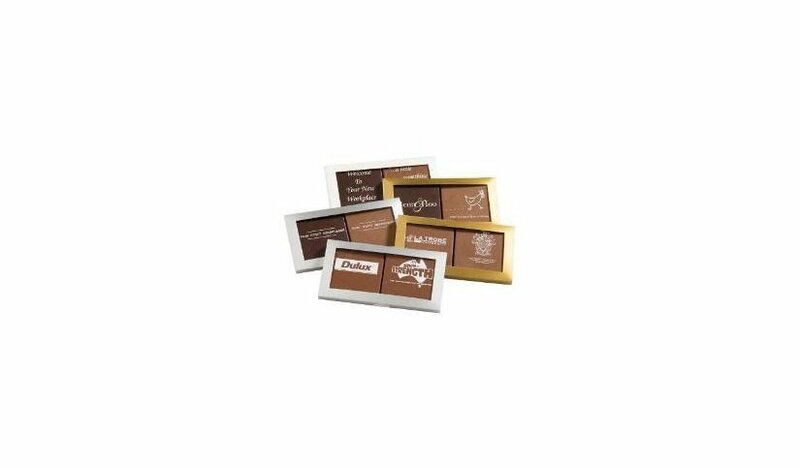 Your moulded logo on the chocolate itself remains visible at all times. Further push your brand by placing a custom printed sticker on the box. 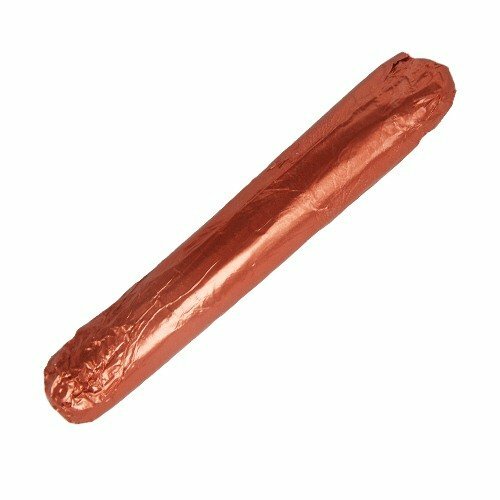 Do check out all the other products in our chocolate marshmallow category and choose from various packaging options available. The goodies do not end there. Apart from chocolates, sweets and lollies, we also have a wide range of savoury delights, which are perfect for any health or sports related events. Now that you’ve got your promotional treats settled, next up is luring customers to your booth. Especially in large events, you have to do everything to stand out. We may have just the perfect promotional product for you – custom printed ultra shine sunburst orange balloons – or any other colour representing your brand. With a lively booth decorated with balloons plus a sweet branded Custom Moulded Marshmallow Single Box giveaway, be prepared for customers to flock in! Ready to bring your branding promotion to a thriving success? Get started on your order today. Our easy to navigate website allows you to place your orders easily. Or, utilize the live chat function which pops up on your screen and get real-time answers from our friendly customer care staff right away. You may also give us a ring on 1300 008 300. 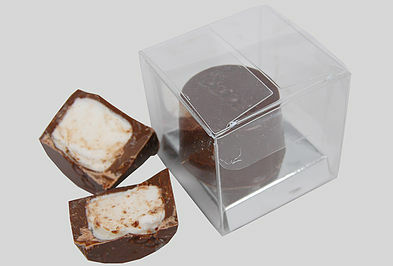 Customised moulded chocolate coated marshmallow presented in clear acetate box with optional custom printed sticker.